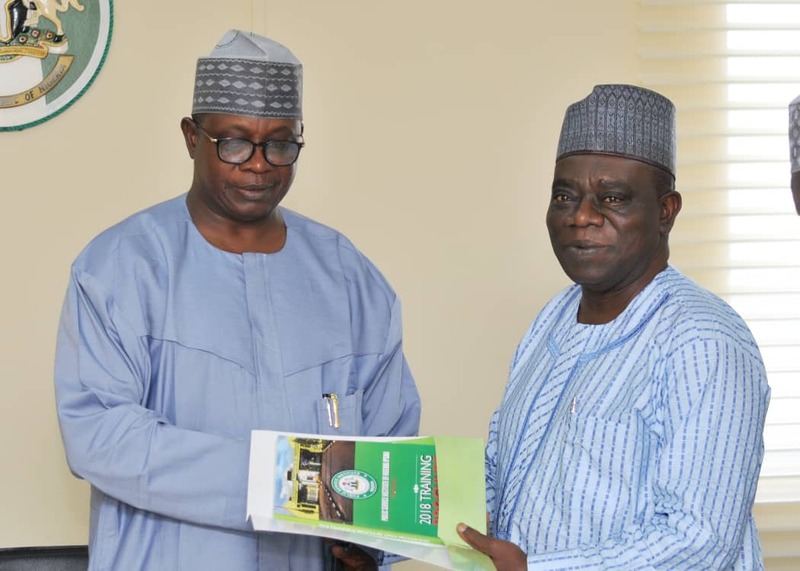 The Administrator/Chief Executive Officer of the Public Service Institute of Nigeria (PSIN), Dr. Abdul-Ganiyu Obatoyinbo has been reaching out to Ministries, Departments and Agencies (MDAs) as part of the on-going efforts to reposition the Institute for maximum impact through building collaborative partnerships with relevant organisations and stakeholders. Addressing the management staff of the Federal Ministry of Interior during a courtesy visit to the Permanent Secretary Dr. Umar Mohammed Bello, Dr. Obatoyinbo said PSIN is a world class Institute saddled with the responsibility of building the capacity of Public Servants to improve their performance in their work places and empower them to compete with their counterparts globally both in knowledge and excellence. Speaking during the courtesy visit, the Administrator said the Institute is being repositioned to perform optimally in order to deliver the needed change in the Public Service through the provision of transformational training. He added that the infrastructures in the Institute has been improved and equipped with modern learning and teaching facilities while also considering trainees’ physical and spiritual needs. 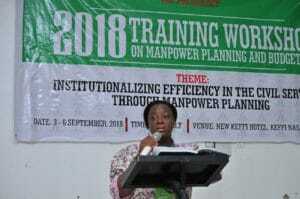 Dr. Obatoyinbo said the training brochure has been updated to improve the competencies and skills of Public Servants through well tailored curriculum for targeted and demand-driven training to build a culture that will transform Public Servants to be Efficient, Productive, Incorruptible and Citizen-Centered (EPIC). 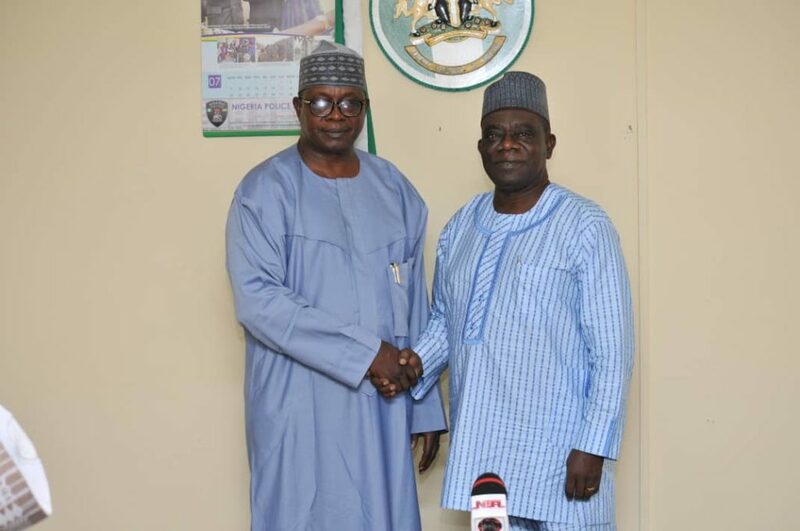 He said the Institute has been strategically positioned to drive the on-going transformation process in the Public Service which is contained in the Federal Civil Service Strategy and Implementation Plan (FCCSIP) of the Head of Service of the Federation as approved by the Federal Executive Council (FEC). 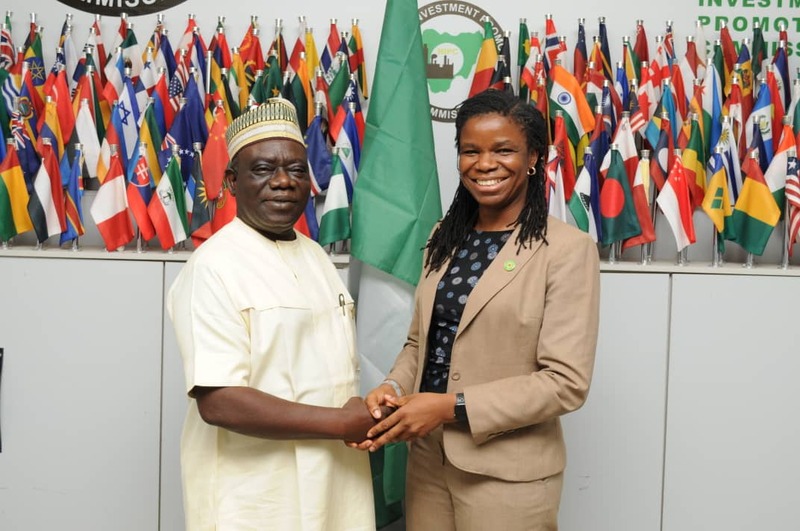 He informed the Permanent Secretary that the Institute has successfully coordinated a bench-marking study tour to Malaysia and Singapore for 62 delegates drawn from various States of the Federation led by the Head of the Civil Service of the Federation, Mrs. Winifred Oyo-Ita. 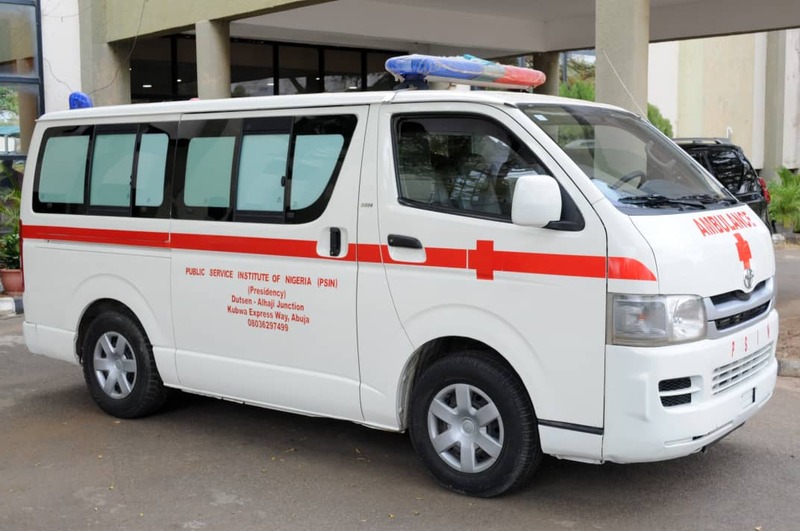 The Administrator said PSIN does not only build capacity of Public Servants but also the Para-military as every Public Servant is required to have a good knowledge of the Public Service Rules and the Financial Regulations. 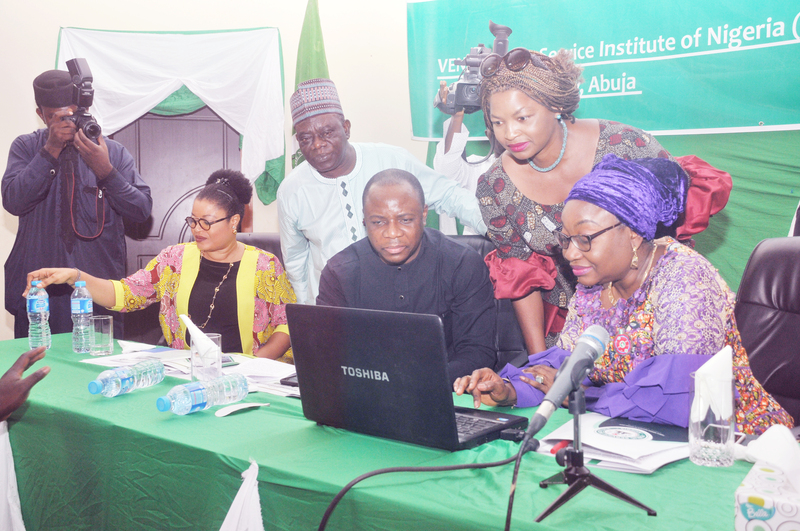 Dr. Obatoyinbo said the Institute’s training is anchored on integrity and years of experience, stressing the need for the Federal Ministry of Interior to identify and partner with PSIN. 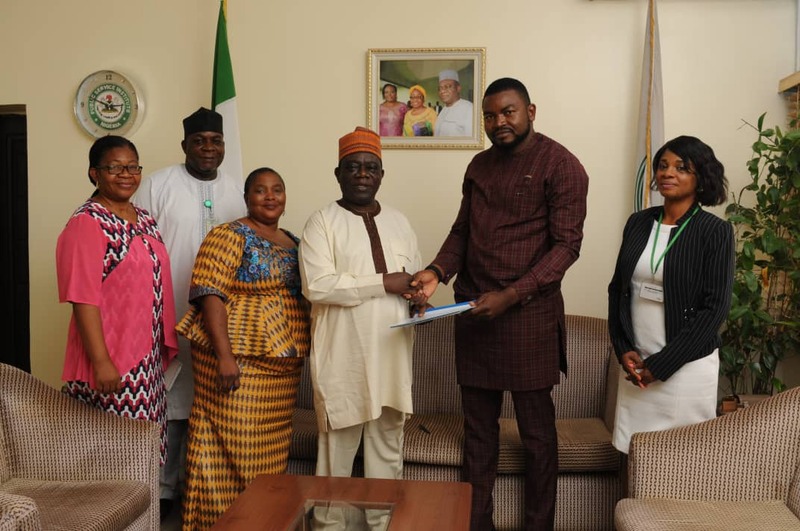 He called on the Permanent Secretary to take advantage of the modern facilities and serene environment in PSIN to train staff in the Ministry and other Agencies under its supervision. Dr. Obatoyinbo acknowledged the contributions of Dr. Bello in building the Institute as one of the pioneer managements staff and also expressed his appreciation for the warm reception given to him and his team by the Permanent Secretary. In response the Permanent Secretary, Dr. Bello umar Mohammed who was one of those that nurtured the Institute from inception, commended the Administrator for his achievements in bringing PSIN to the level that it is today in terms of infrastructural development. Dr. Mohammed made a commitment to partner with PSIN in the training of staff of the ministry as well as officers in the agencies under the supervision of the ministry. He reiterated the importance of capacity building especially for Public Servants who interpret and implement government policies. He noted that ICT was gradually taking over the world and assured that he will ensure all staff in the Ministry of Interior become ICT compliant.